The recently-completed run of the Cosmic Trigger play in London gets a nice writeup in Boing Boing. The real news, though, isn't revealed until the last graph, which says that on July 23 this year — Robert Anton Wilson Day — there will be events in Santa Cruz. This coming July 23rd, Santa Cruz will host a RAW celebration — a day of talks to celebrate his legacy, with contributions from Daisy Campbell, Erik Davis and Richard Rasa of Hilaritas Press, and an evening party with legendary DJ Greg Wilson. To receive information and details, subscribe to the newsletter on the website - or just tune in to the signals leading to the party. That's where you'll find the others! Fnord. 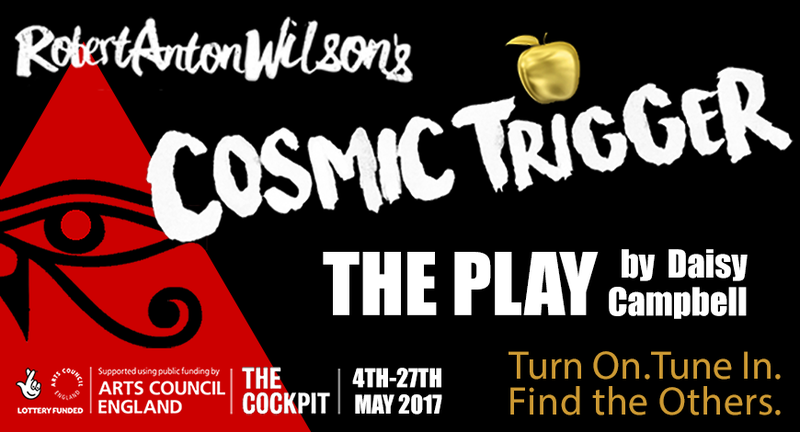 That's all I know, but the Cosmic Trigger play folks have promised more details soon, and when I get them, they'll be posted here.